While sitting on a carriage, made of iron and wood, you are able to steer horses with reins through the landscape. For the exhibit a real carriage and real reins are used as interfaces. 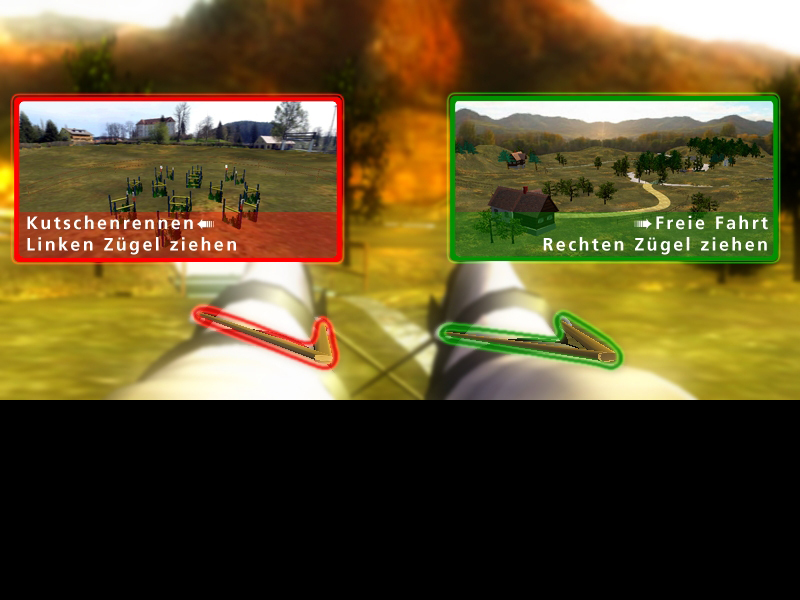 The implementation emphasized on realistic horse’s reactions. The landscape resembles the Weststyrian hilly landscape and provides paths, hills, creeks and a typical farmer house of the region. The visitors of the Stud Piper receive a chip for using the carriage. If they want to take another ride with it, it is also possible to use one Euro coins. 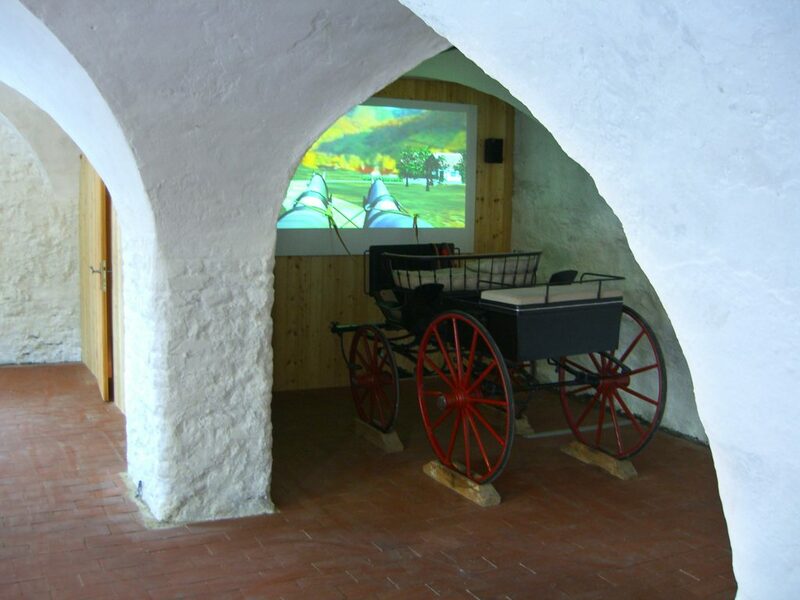 Visitors are also able to compare with others during a carriage race. The turf is a 3d simulation of the real turf in Piper.